Well, I hardly know where to start, it’s been such a busy week! 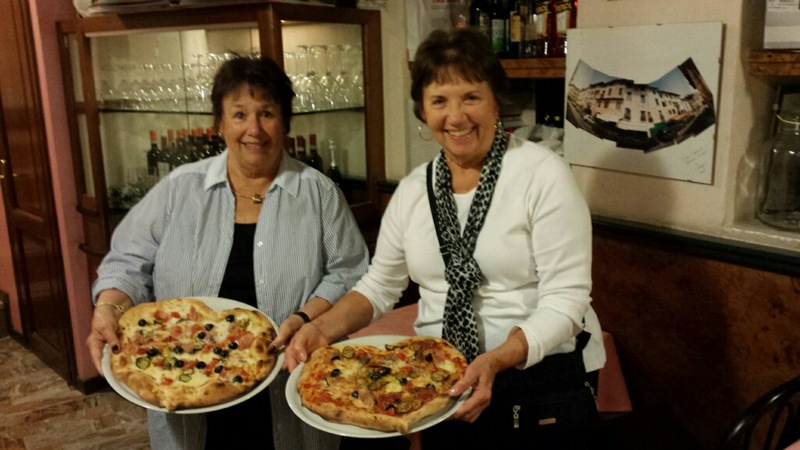 The Two Old Broads, taking Italy by Storm! 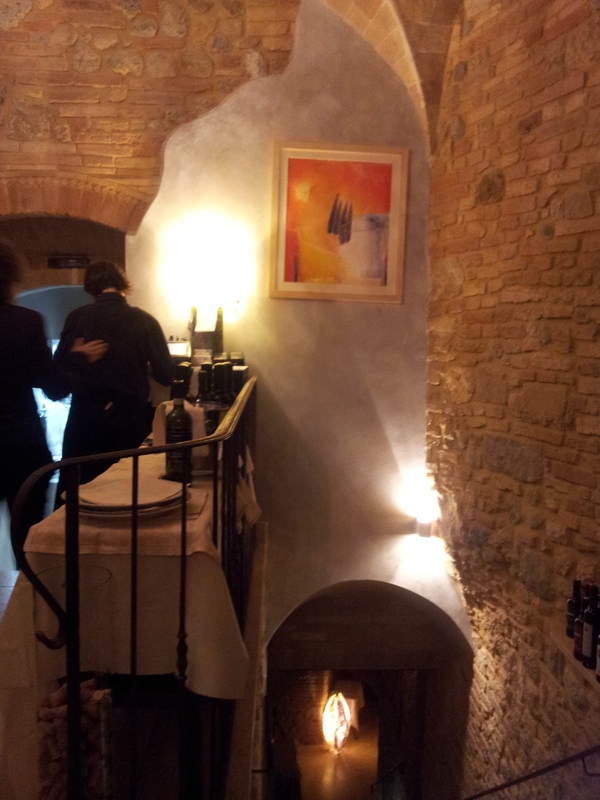 Last Thursday was the absolute highlight, due to ‘Two Old Broads who were Taking Italy by Storm’ arriving for a visit. Now these were their words not mine, but don’t you just love that description? So who were these ladies? I am delighted to tell you that they were my distant American cousins and this was the first time we had ever met. 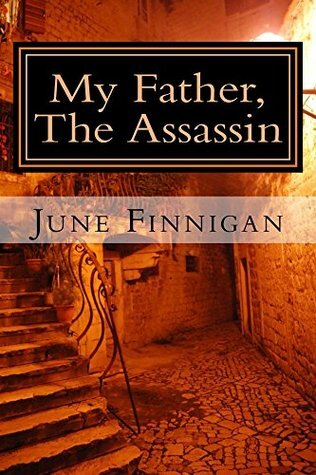 Whilst both in their seventies, they were doing a driving tour from north of Venice down to Tuscany and back, and getting thoroughly lost on the way. The hire car SatNav did not work, so it was luck rather than judgement that got them here! We had great fun talking about our ancestors. Theirs went over to the Americas from Plymouth back in the sixteenth or seventeenth Century, whilst mine became landed gentry in Devon. I will miss you guys and hope you found your way back safely! 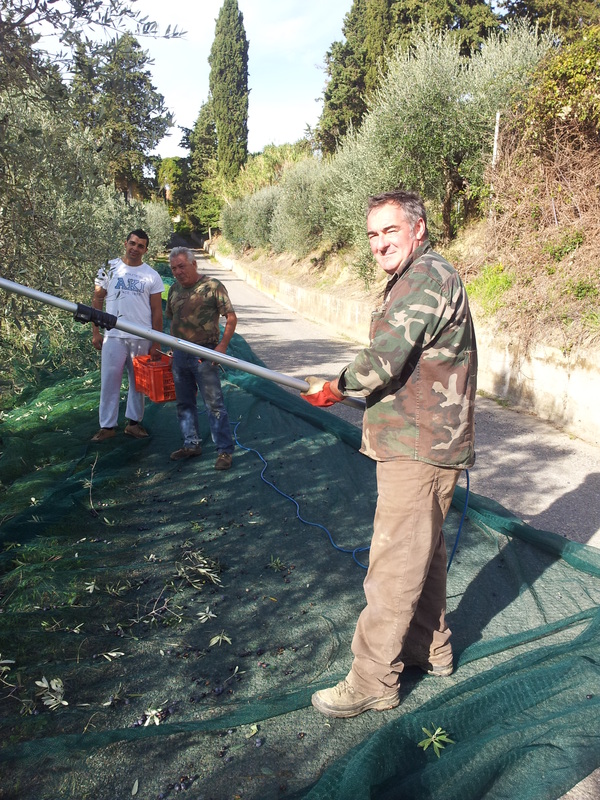 Alessandro and his team collecting the olives next to our villa. Meanwhile the local Olive Picking, Raccolta, is in full swing. Brightly coloured nets are spread out under the trees and with the weather being dry and sunny at present, we expect a good quality crop. I just love that fresh Cold Pressed Extra Virgin Olive Oil drizzled on bread and over fettunta, which is old toasted bread rubbed with garlic. Yummy…! The lovely Laura and her new blond hair colour. Meanwhile, Laura’s bar/alimentary is now very busy due to the Bar Piazzetta in Fiano being closed, after a ‘visit’ by the Carabiniere. It’s all very hush-hush, but there was definitely something fishy about the owners of that place. Anyway, happily ensconced at Laura’s enjoying our coffee, I notice something different about her. She had gone blond! Then I noticed two more local ladies who had also been at the peroxide; is there some sort of conspiracy going on? Via San Martino 26 at night. Inside Via San Martino 26 Ristorante. This was our first visit for cena (supper/dinner) and to see this ancient city of towers at night is a joy to behold. 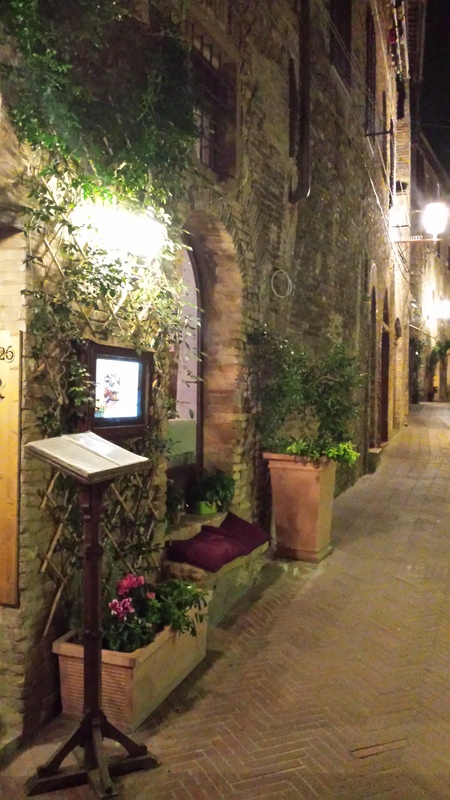 Via San Martino is a street dedicated to Artisan shops and the hand-made stuff is to die for. I could not resist buying a hand-woven woollen scarf from Stefano Stampa at number 8. My man paid the bill, bless him. Stefano does not appear to have a website, however, he can be found on Facebook. Oh yes, I must mention, that earlier and on the way to San Gimingano, we were waved down by the Carabiniere and asked for our identification papers. The police woman was quite typical; very pretty with dark curly hair tumbling out from under her cap and one hand on her pistol. My man could not stop grinning and she could not help but smile back. He has a way with the girlies. He wasn’t concentrating and he had not registered that she had asked for his driving licence. He finally managed to get a grip and she was happy to send us on our way. Phew, thank god for my man and a pretty face. It’s not always that easy. 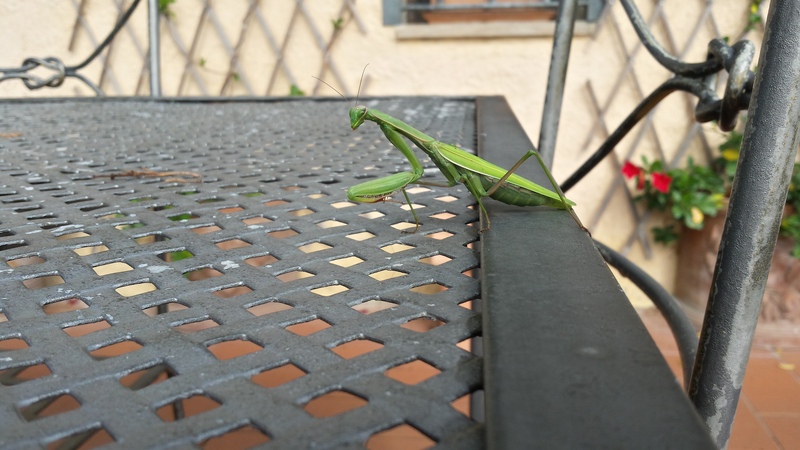 Back in our beautiful terraced garden my man spotted a Praying Mantis on our outside table! Fabulous creatures that move so incredibly slow, you can barely see the movement. But we fear that it may be towards the end of its little life as we found another one in a poor state of health, so we gently put it out-of-the-way of Farty Barty the cat. We also have a couple of Locusts starting to nestle in on the window ledge. They often winter in with us behind the shutters. No, we do not get swarms, just the odd one or two paying a visit. But enough of that. We are now stepping up our search for a new home. More flyers are going out in all the bars and other places we frequent. Our landlady came yesterday and said that she would be happy to rent to us for anther one to two years, however, we are already in the mindset of moving to a larger property. So if anyone in the Commune di Certaldo knows of a large country house (Un grande casa in Campagna) do let me know. 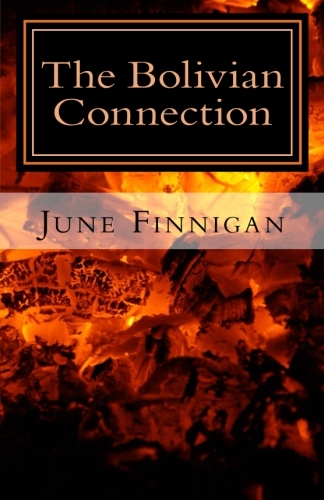 Send an email to june.finnigan@virgin.net. Well, must get on. I need to make myself beautiful for lunch at C’era una Volta in Lucardo, after thirty minutes exercise as instructed by my Health and Fitness Coach Alexandra. Yes, when we lived in England we had a sixteen roomed house. But that was many years ago, however, we do miss the space! Sixteen rooms! That’s a lot of wine storage space!